Jason Isbell And The 400 Unit On Mountain Stage The North Alabama rock band performs bold new material in its second appearance on Mountain Stage. Jason Isbell and the 400 Unit on Mountain Stage. 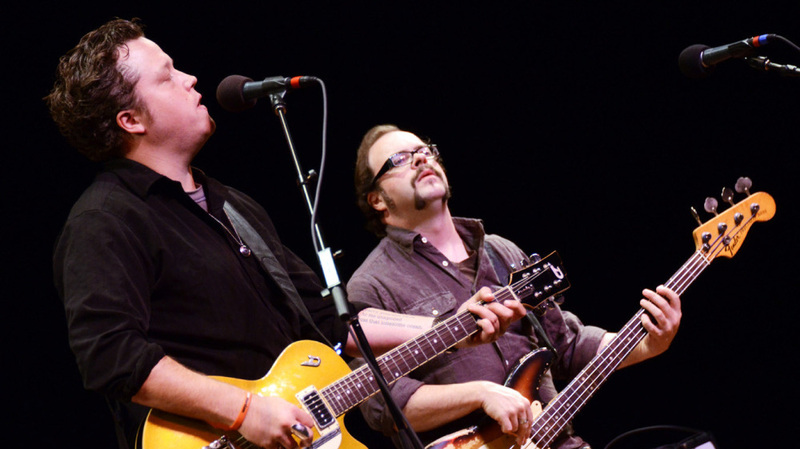 The North Alabama rock band Jason Isbell & The 400 Unit makes its second appearance on Mountain Stage here. As a member of Drive-By Truckers for six years, Isbell was responsible for some of the band's most memorable work, including "Never Gonna Change" and "Outfit." Out on his own since 2007, Isbell has released three studio albums with his band The 400 Unit, the most recent being Here We Rest. Playing straight-up rock 'n' roll more than Americana, 400 Unit members Derry de Borja and Jimbo Hart do swap out their electric instruments for an accordion and upright bass in "Codeine." "I went and wrote myself a 'Genericana' tune," Isbell tells the audience. "Just like the real stuff, only cheaper." They shift it back into high gear for their final number, a blistering cover of Neil Young's "Like a Hurricane," which was not heard in the radio broadcast. This segment originally aired on December 14, 2011.